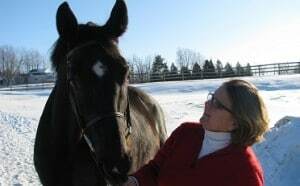 The mission at The Mindful Equestrian is to offer riders the opportunity to enhance their performance and well-being through mindfulness techniques and building on their riding and life skills. My ultimate vision is to help make this a better world by making positive shifts in the lives of my clients through my coaching them in their riding and life. Living a mindful life by not staying stuck on events of the past or creating imagined outcomes in the future.